Where Have All the Summer Shows Gone? This summer, when USA’s spy drama, Covert Affairs, returned to the air, it’s laughable but fun credit sequence was replaced with a simple, serious white on black title card. When the change was discussed on twitter, the writers claimed the “maturity” of the show and its storylines led to the change. @VladaGelman with the tone getting increasingly darker and the story denser, consensus was it was time for a more mature opening title card! Covert Affairs has evolved to the point that the winkingly cheap credits would seem disjointed. Just as the tongue-in-cheek voiceover on Burn Notice did as the series relied more heavily on dark, high stakes serial stories and Leverage‘s introduction of character roles might have been if it continued to focus on serious, serial narratives. These shows were all once the ideal escapist summer fair. They were, at one point at least, fun shows that you could tune in to after a day baking in the sun or when you missed a few episodes while on vacation. They were the “blue skies” summer cable fair that required less intense, prolonged focus than the season-long network dramas, but still mined deeply their characters and offered a satisfying episodic resolution at the end of the hour. They were fun but also had strong contingents of vocal fans that kept them from being guilty pleasures. They were able to exemplify the connotations of summer: easy, breezy, satisfying but not heavy, popular but not a zeitgeist. And they seem to be gone, or at least going. TNT is still making its procedurals in the vein of these summer shows–Rizolli & Isles, Franklin & Bash, and King & Maxwell–that aside from their ampersands share a location in a relative blind spot of social media. Where the former grouping of shows would get mentioned on the AV Club, featured on Television Without Pity, and the like, these drama merit barely a dollop of all the virtual ink spent on discussing television. More frequently this summer has seen heavy serial dramas populate the summer: The Killing, Ray Donovan, The Bridge, and Breaking Bad. As television more generally is shifting its economic models, the standard logic of summer being an escapist, lower-stakes season populated mostly by reruns and reality is shifting as well. Now the summer is a time of less competition and more potential reward to build an audience and/or find the quality audience that is starved for serial, complex entertainment and have the DVRs and means to keep up the the series. But this means that cable programming is going through a change that seems precedented in the 1980s network shift to quality. Leverage and the like share a historical kinship with the light, mostly-episodic network dramas of the early cable era like Quantum Leap and Remington Steele. These 80s hour-long, episodic, comedic dramas became folded under the televisual quality drive spearheaded by Hill Street Blues, and the early 2000s saw them reappear on cable channels. In the 1980s this marked a shift in the idea of what television is or could be; likewise, this trend illustrates a similar shift in cable. Whereas the 1980s was mostly a network response to the threat of cable, this current shift seems the fulfillment of that threat. Cable is now competing with and beating the networks in ratings in any season and are less mired in older forms of business logics that are slower to change. For now, it appears that the summer is becoming home to serial dramas and quality programming–and all that connotes. But as these television forms move in, they force out the former residents of the summer: the episodic or lightly serial summer drama, the sense of escape, and the “blue skies” mode of cable programming. As a fan of all these things, I hope they find a place somewhere else. Until then, the series of the past are mostly available on Netflix and Hulu for summer rewatches. I’ll be streaming them and basking in the cheesiness of the Covert Affairs credits there. Before Law and Order: Criminal Intent moved from NBC to USA Network in 2007, I had written off the variation, choosing instead Law and Order: Special Victim’s Unit as my version of choice. I took notice of Criminal Intent as it shifted to cable, interested in seeing if it would change at all to fit the USA Network original programming brand. With the abundance of Law and Order: CI reruns that still pervade cable’s daytime schedules, it was (and still is) surprisingly easy to get sucked into Groren and Eames’s investigations. However, as Criminal Intent prepares to return to USA for its tenth and final season this Sunday with the ballyhooed return of the original detective partnership of Goren and Eames, I find myself drawn to the show as an outlier of the Law and Order franchise. It’s more “Law” than “Order,” going so far as to strike the lone Assistant District Attorney character after the fifth season to focus solely on the investigations and the (alternating) detective teams. The removal of the courtroom element imbues the detectives with an almost preternatural ability to get confessions from their suspects, aligning the lead detectives, particularly Det. Bobby Goren, with exceptional (male) investigator brethren like Columbo, Sherlock Holmes, or Adrian Monk. Columbo informs Law and Order: Criminal Intent‘s format and characterization. 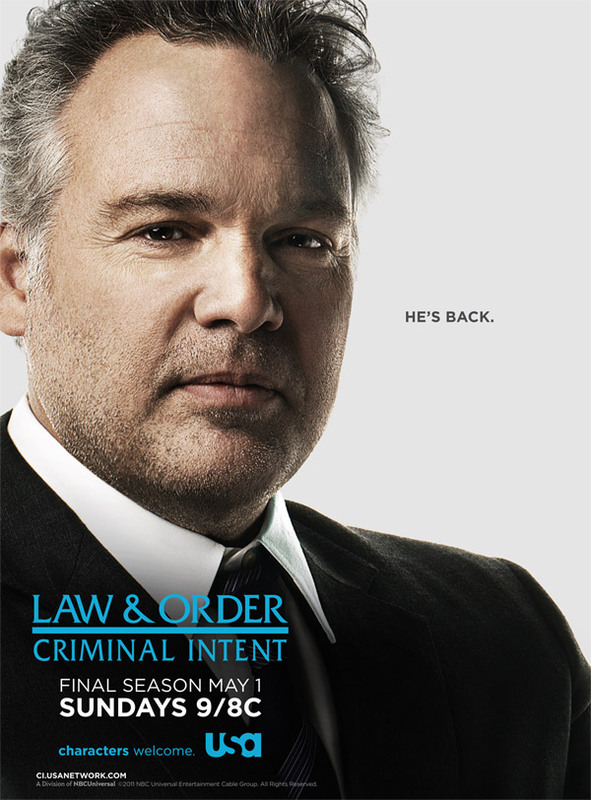 The initial “twist” on the Law and Order formula that Criminal Intent advertised was the focus on the criminal in the opening scenes. Early episodes hewed closer to the inverted detective story that Columbo popularized on television, some going as far as showing the criminal committing the murder, providing all the information the viewer needed to establish dramatic irony (see: season one, episode five, “Jones”). The format connection between Columbo and Criminal Intent is “common knowledge” enough to be present in LO:CI‘s IMDb trivia page. 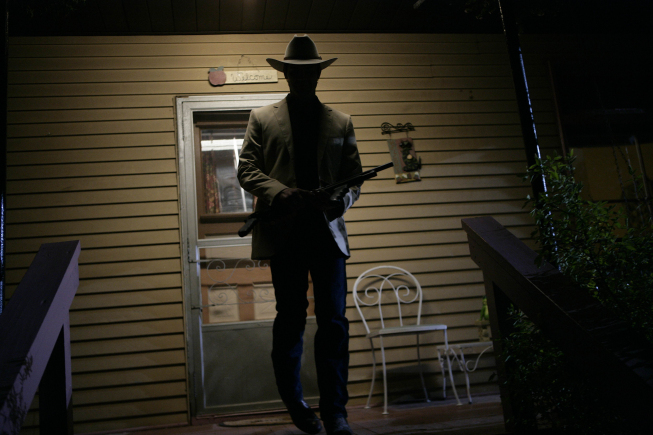 Most later episodes show only a few scenes establishing the victim and general circumstances of the murder, keeping the culprit hidden to maintain the tension of a “whodunit” narrative. A byproduct of this later obfuscation of the murderer is that the skills of the investigating detectives appear heightened, making deductive and inductive leaps based solely on their skills and the information shared by viewer and detective. This appears most often and explicitly regarding Det. Goren, a character who others repeatedly discuss as a genius. Jeff Goldblum’s Det. Nichols similarly gained the mantle of “genius” during his tenure as a CI lead detective but less emphatically than Goren and more as code for “successful eccentric.” The other alternating lead detective, Logan, was an import from the original Law and Order series and was characterized more as a stubborn but street-smart bruiser. Goren’s shadow fell over both detectives because of his “genius” and ability to wrench confessions from his suspects. Goren’s cerebral approach to detective work and D’Onofrio‘s performance of his awkward and lean-prone physicality also recall Columbo, particularly Peter Falk‘s portrayal of the eponymous detective as bumbling and physically askance. (Goran’s proclivity for leaning has even garnered a fan-made music video montage to “Lean Back.”) Goren even occasionally drops the famous “Just one more thing . . .” Columbo catchphrase when questioning his suspects. I have thus far only discussed the male detectives; this is because only the male detectives are positioned as the lead detectives (and thus lead characters) on Criminal Intent. Though the characterization of the female detectives is strong–particularly with Eames’s multidimensionality–they are almost always primarily characterized in relation to their male partners. Logan, Nichols, and Goren often take the active role in the investigation with their female partner forced into a reactive role. Gender dynamics in the Law and Order franchise is deserving of much more attention than I can give here. I point out this focus on male lead detectives and their exceptional skills to highlight the perhaps closer connection Criminal Intent has with that mode of detective storytelling than the bi-valent Law and Order formula. 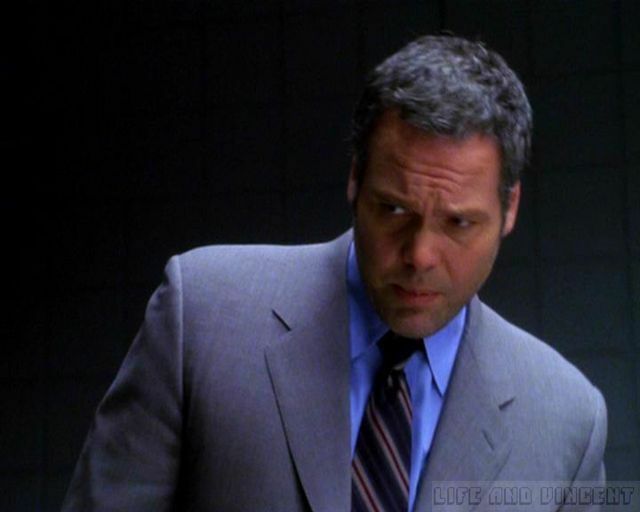 Goren’s antecedents include Sherlock Holmes, Columbo, and Adrian Monk. I have argued previously that this exceptional individual take on Law and Order helps Criminal Intent fit with USA Network’s brand, a brand based explicitly on characters and heavily influenced by Monk‘s success. None of these detectives face the scrutiny of the courts within their narratives; their confessions only have to imply that they would lead to legal conviction. This format allows for the detectives to be exceptional without facing the realism of paperwork, technicalities, and courtroom arguments. Though Law and Order: Special Victims Unit also focuses on the detectives, their partnerships are part of a team unit that also includes a clear connection to the legal system though their prominent ADA characters. Criminal Intent has been allowed to be an outlier to the formula–doing away with “Order” and focusing on an exceptional individual male detective– in part because it has been a network-outlier since its 2007 move from NBC and actually fits nicely into USA Network’s brand identity. I watch a lot of television, obviously, and a lot of what I watch is on cable. In the last year or so, I’ve had the growing sense that, in the immortal words of Buffalo Springfield, “There’s something happening here, and what it is ain’t exactly clear.” The “here” being cable networks with original programming aimed at adults. I’m not talking about Nickelodeon or the Disney Channel, both of which have built their empires around original programming aimed at kids and teens. They’re ahead of the curve in terms of original niche programming. Instead, I’m interested in the success of USA network original programming. I’m especially interested in the question of what ties the shows on this networks together: are they a brand, a formula, or a genre? 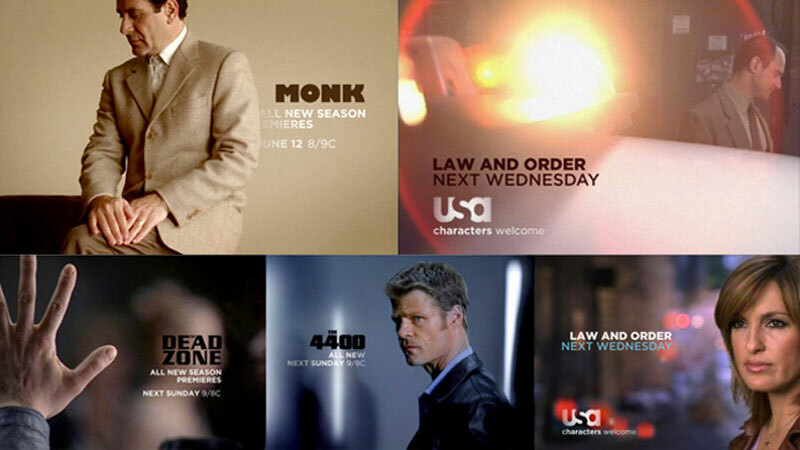 USA network has been showing original programming since the 80s, but the network began the push for quality series–accessible to both critics and fans that would last in prime-time–in 2002, with Monk and The Dead Zone. Both proved successful for the network, lasting seven and five years, respectively, but it is in the former more than the latter that I see the kernel of the network’s current successful spate of programs. 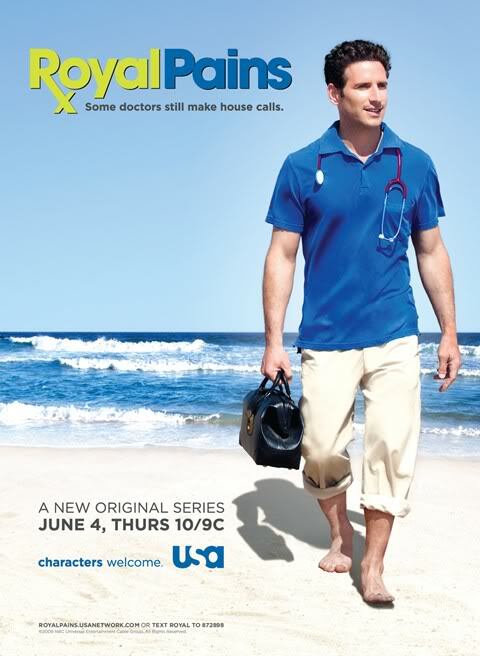 Monk won Emmys (mostly for acting) and was seen as a breakout for cable programming in terms of both popularity and quality, but it was also the clearest reason for USA’s 2005 rebranding with the slogan “Characters Welcome.” Monk was a procedural detective show that followed its formula closely, but what elevated it above similar formulaic fare was its central character, Adrien Monk, a “quirky” obsessive-compulsive detective. From Monk the character, came the tone: comedy with a perpetual underpinning of drama (just as Monk recognized his OCD as somewhat ludicrous but an unavoidable and somewhat tragic part of his life). Fittingly, Monk as progenitor of the current cycle, is the only original programming from the rebranding period to survive past 2007, the year Burn Notice premiered. Burn Notice, to my mind, appears as the turning point, the series that made USA executives take note of what they were doing right and how they could reproduce whatever that was. Though Psych premiered the year before–to great ratings, no less–it remained a blip on the cultural radar until Burn Notice cemented USA as the cable network to go to for original programming. Psych has always been a bit fluffier than its more dramatic USA brethren, with no central tragic mystery (like Monk) or driving arc for drama (Michael Westen’s titular burn notice) or even sense of moral purpose (as in In Plain Sight). Burn Notice became the exemplar of the burgeoning USA Network brand, and perhaps its emerging genre. Burn Notice took Monk‘s central “quirky” straight man and its structure of narrative complexity and folded in Psych‘s generic self-consciousness. All three central characters shared the distinction of being the best at what the do but lacking the social skills needed in order to properly function outside of the families of understanding they created around them. Throw in an under-utilized, often exotic locale, shuffle the procedural episodic formula, and this is the “USA Network show” formula. But could it be more than that? Could it be a genre? Brand or Genre? Does it matter when it’s a success? The question I must ask is: can a brand become a genre? Maybe. The closest example to support an answer of yes is the idea of “Disney feature animation” as a genre that extended beyond the brand. Animated musicals of the late 1980s and 1990s are dominated by Disney animation, yet when I talk with my peers about what constitutes that generic corpus, non-Disney film such as Anastasia and An American Tail sometimes get lumped under the Disney label. Whether that is enough to argue for Disney as a genre, I don’t know, and certainly whether I can extend that analysis to USA network programming. If USA network can be seen as a genre, TNT original programs like Leverage and The Closer become part of the generic corpus, as they could easily fit into the semantic/syntactic conventions of USA network programming. Regardless of what I can call USA’s programming as a group, I believe its success has become a model for other cable networks with increasing original programming. Most notably, FX network is gaining a reputation for darker, “grittier,” and notably “masculine” dramas that push against the line between law and outlaw with successful hour-long programs: Rescue Me, The Shield, Damages, Sons of Anarchy, and most recently Justified. To put the stakes of cable programming in perspective, the premiere of Justified attracted 4.2 million viewers, which would put it at #23 in the Nielsen top broadcast ratings for the week. Increasingly successful cable programs are becoming successful programs without the need for the modifier of “cable,” and USA network was and currently is the leader of that change. There’s something happening here . . .